I held a JSPS Fellowship from the Japan Society for the Promotion of Science at the Graduate School of Kobe University, in Kobe, Japan, from January to December, 1998. I was a part of the Kobe University Logic Group, and Philip Welch served as my official mentor at that time. 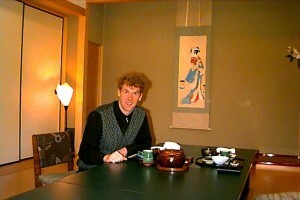 Jörg Brendle started in Kobe at very nearly the same time. This entry was posted in Appointments, Grants and Awards and tagged Japan, JSPS, Kobe by Joel David Hamkins. Bookmark the permalink.